Do you find yourself always tending to your lawn and keeping it neat? Gardening is one of the most therapeutic hobbies you can do at home. Some people even level up their landscaping hobby by purchasing tools and types of machinery to grow and cultivate their plants properly. Gardening can be tedious if you get into it seriously and you’ll need some extra help using heavy equipment to maintain your garden. 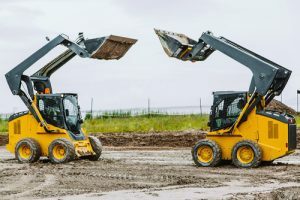 A skid-steer loader consists of heavy equipment parts like wheel bearings and loader-arms. It can also have various attachments depending on the kind of work you want to do – if it’s snowing, you can clear out the snow in your yard with a snowblower attachment or if you need to do excavating jobs you can attach a backhoe to it. For a typical homeowner, a small-frame skid steer is best in doing landscaping, hauling and moving garden materials. Since it is lightweight and compact, it’s easy to maneuver around. It’s a base motor equipment for several heavy duty tasks and its versatility can save you more money in the long run. Having a cultivated soil is always best for making a great garden for your backyard. Your soil is the foundation for creating planting beds to growing your vegetation by having it neatly leveled, graded, and pulverized. You will need a landscape tiller to make your soil ready for planting – it needs to be broken apart due to rocks, weeds and mostly compacted soil that’s hard to tackle. The tiller will do the heavy labor for you; it will also mix up the compost so that your land will be conducive to planting your flowers, vegetables or even bermuda grass. Seasons change, and you need to grow several different kinds of plants that go with it, and tilling the soil makes it easier for your plants to grow abundantly. Mowing is an activity you need to do to keep your yards neat and trimmed. If you’re just starting to landscape your residence, you may want to purchase a small lawn tractor. These are often called ride-on lawnmowers which are motorized and are suitable for medium-sized lawns going up to an acre. These types of mowing tractors have advanced features, wide-array of adjustable cutting decks and come with better engines. 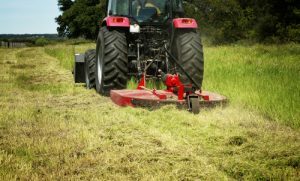 Research on what kind of tractors are right for your area and this will definitely be an excellent investment for you. Your garden, an outdoor space in your house, is in need of tender loving care throughout the year. Weather changes from time to time and it may affect your soil and plants; you need to prepare yourself in doing hard labor for a number of times to maintain your landscape. Gardening is not a simple task, but it’s worth doing when you see your flowers bloom in your backyard.